Industry-leading Silversea Cruises proudly announces the launch of a new travel blog, Discover, to inspire curious travellers to experience the most fascinating and breathtaking places on earth. 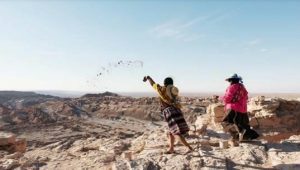 Featuring in-depth stories and striking original micro-documentaries on everything from the allure of the Atacama Desert to the peculiar dance of blue-footed boobies, Discover enables travellers to journey deeper, transporting readers into the authentic beauty of the world. Among the new content is a selection of behind-the-scenes videos from Steve McCurry’s recent travels with Silversea. The iconic photographer has visited many magnificent destinations with the cruise line, including Svalbard, Japan, West Africa, Sicily, Papua New Guinea, the Galapagos Islands, Istanbul and the Virunga Mountains of East Africa, among others. Also on offer are feature stories on the most captivating cultures of the world; unusual landscapes and rare geographical spectacles; remarkable wildlife and the majesty of Mother Nature; lifestyle topics; and useful travel skills, including photography tips from expert travel photographers. All content, including images and videos, is originally produced for Silversea. Discover reflects the features that enrich Silversea voyages to over 1,000 destinations in all seven of the world’s continents. Leveraging the knowledge and experience of its industry-leading Expedition Team, Silversea will provide authoritative insight on ornithology, botany, marine biology, glaciology, and various other fascinating subjects. The cruise line’s Expedition Experts will feature as sources in the blog’s stories. Once inspired, readers will be able to discover the cruises that relate to the illustrated topics to channel their reawakened sense of wonderment. Readers can sign-up to receive Silversea’s latest articles directly into their inbox by clicking on ‘subscribe’ in the top-right corner of Discover’s homepage.